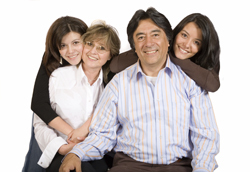 Family and Individual Counseling is available to individuals of all ages residing in Santa Clara County. Bill Wilson Center's Family and Individual Counseling address a variety of problems facing individuals such as family conflict, substance abuse, depression, anxiety, stress, out-of-control behavior and school problems. The focus of counselors at Bill Wilson Center is to help clients develop the skills and confidence they need to handle any crisis they may face. We look for the positive in each person and build on those strengths with a "no fail" approach. Counseling services including couples counseling, parenting groups and court-ordered counseling are available to all ages on a sliding fee scale. Counseling is provided in Spanish, Vietnamese, Greek, Japanese, Chinese, Urdu, Hindi, Punjabi and English. Parent Education Groups teach skills for effective parenting including communication, setting boundaries, effective responses to inappropriate behavior and how to nurture resilient children who feel able to meet life's challenges. For more information, please visit our parenting class webpage.